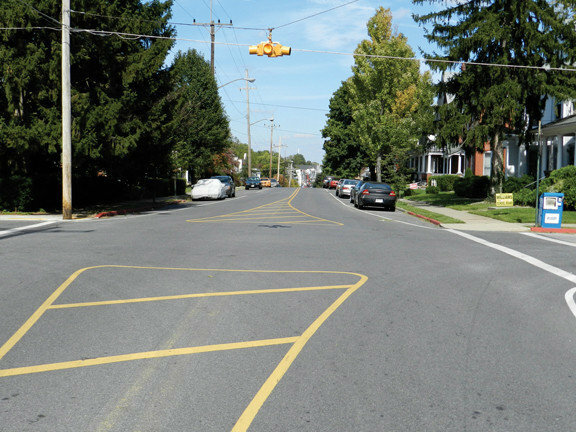 Summit Avenue residents in Hagerstown have expressed concerns with speeding along the street for quite some time, prompting city officials to begin looking at ways to slow down drivers. They may soon be getting their wish. 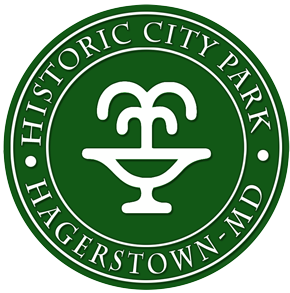 Speaking to the Hagerstown City Council during a work session Tuesday, city engineer Rodney Tissue suggested installing a roundabout as well as a painted median along the wide residential street to help deter speeders. Tissue said the street is about 38 feet wide, but it widens further around the 600 block. Preliminary plans call for a small concrete roundabout to be installed at the intersection of Summit and Reynolds avenues and the median to be placed in the area of Dunn Irvin, he said. “For some reason, the road kind of bellies out on the one side, so to speak, and this would narrow it and make the drivers feel a little more confined,” Tissue said. As per the city’s traffic-calming policy that was passed about a year ago, Tissue said traffic counts were taken focusing on driving behavior in that area of Summit Avenue, showing that about 1,300 total cars travel the street daily. Of that 1,300, the city found that about 225 vehicles drive between 35 mph and 40 mph, while another 50 cars travel at over 40 mph, according to city documents. The city concluded that about 80 percent of motorists drive faster than the posted speed limit of 25 mph, the documents state. After increased radar enforcement yielded minimal results, residents of the area’s Neighborhoods 1st group turned in a petition with 68 households, or about 75 percent, supporting the installation of physical traffic-control devices to help slow motorists. “They followed the process that we laid out for them and we feel this is a good way of addressing their issue,” Tissue said. Heather Holman, president of the neighborhood group, attended Tuesday’s city council work session at City Hall, along with several other members, to show their support. “When I was out collecting the signatures, everyone was really supportive and everyone recognizes … that speeding is a very big problem on Summit Avenue,” Holman told the council. Currently, Summit Avenue has no restrictions except a four-way stop at the intersection with Howard Street and a flashing yellow light above the intersection of Summit and Reynolds avenues. The city council supported Tissue’s initial plans, noting that it could be a model for other traffic-calming projects around the city. City staff can now begin preparing final design drawings and advertise the project for bids, Tissue said. The project, expected to be completed next spring, would be paid for with a portion of the $20,000 in Capital Improvement funds that have been set aside for traffic-calming measures in the city’s approved 2012-13 fiscal year budget, Tissue said.